The weekend is over already. Very little sewing got done - we were awash in dinner parties (not a bad way to spend time). I did start a new dye pot though, and did some planning. 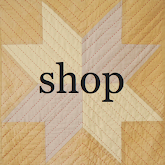 I am contemplating a log cabin quilt; I always liked that quilt block. How could you not? Have you ever seen anything as beautiful as this? I'm forever moving on to new things while still in the middle of something else. My interests move faster than my hands. Maybe it's good for me - keeps me interested. Also, I tend to know something is ripe for pursuing if it keeps surfacing, month after month, doodle after doodle. The things that need to be made, they have their ways of making themselves known. Don't worry, I'll be sharing my dye projects and processes with you soon. I have to get them all through their final wash, and take some better photographs. I am loving the natural dye process so much. Tomorrow I'll be back at Peapod to pick up some more plain white cotton. It's avocado pink on the agenda this week. I can't wait. I hope you all had a lovely weekend. Either more productive than mine, or just as full of food and friends. moving on to new things while in the midst of something else????? me?!! I think this will be carved on my gravestone.....that pretty much sums up my life! Haha, always! Sometimes I wonder if it's more of a problem, or if it's just how I work best? As I can't seem to work any other way, I guess I may never know!